"Hang Fire seems to understand a concept that is lost on many of today’s contemporary recording artists. It can all be summed up in four syllables: composition. 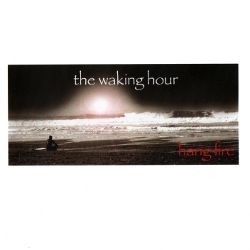 The group’s first full-length CD,'The Waking Hour', showcases a gathering of seasoned musicians who have paid their dues on the local circuit and learned a thing or two in the process. Rather than adhering to the standard verse, chorus, verse template of pop music, Hang Fire reaches out beyond the ordinary and takes chances, often with excellent results." THE FIRE OF MY HEART... ETC. THOUGHT IT WAS FOREVER, COULD WE FIND A WAY?